I always really enjoy Tracy of Shutterbean's My Everyday Life posts on Sundays... so this year I thought I'd start taking photos throughout the week and posting them on Sundays as well! I like that it's an inside look at the every-day-happenings in our life, and that the photos can be far from perfect. It's also to push me to take more photos on a daily basis, so I hope you enjoy this new segment! 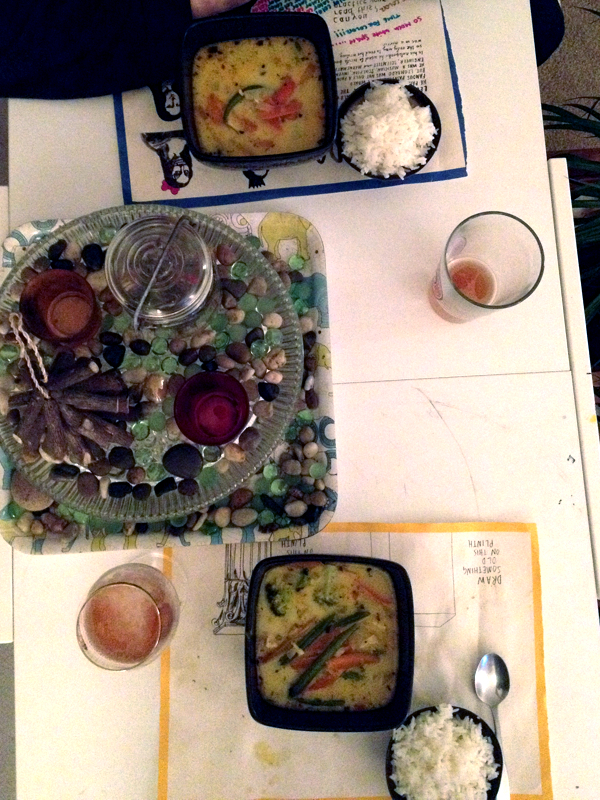 We ended the year with Shawn's homemade curry... then I promptly fell asleep an hour and a half before midnight. 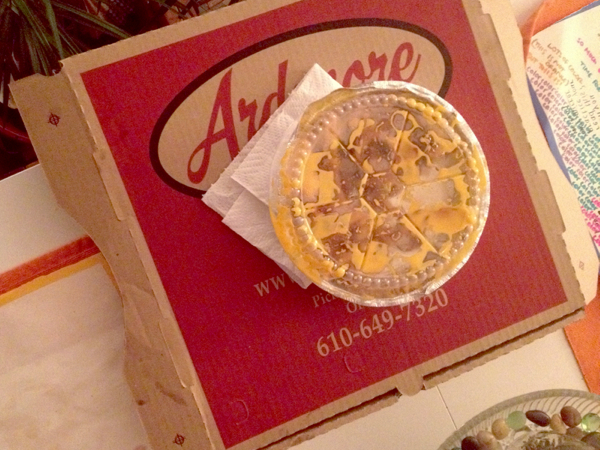 Not really the 'resolution types', we had pizza and bacon & cheez whiz fries for dinner on the first day of the year. 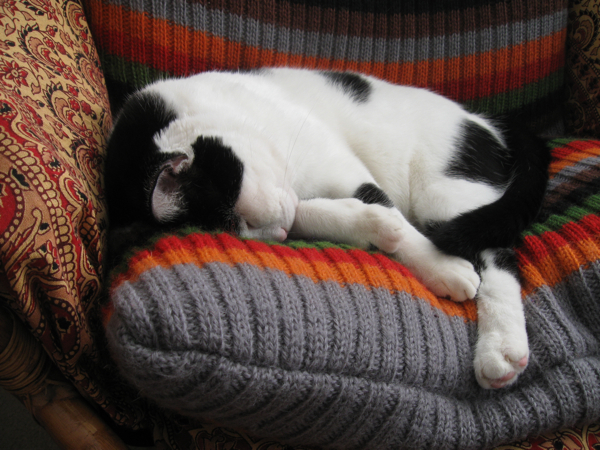 The first photo of Lloyd for the year! 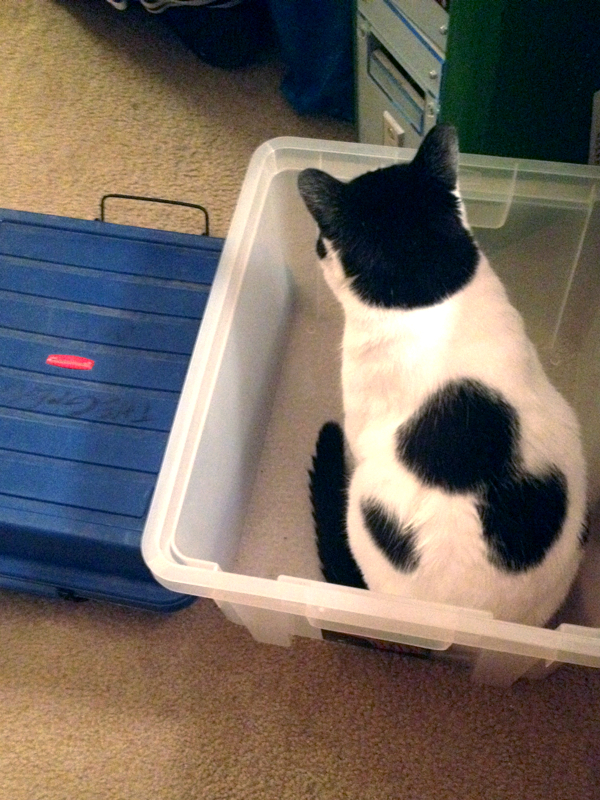 Sitting in a box, of course. 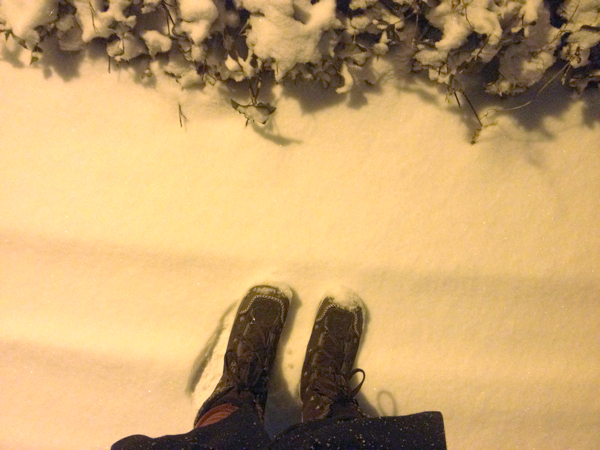 It snowed a lot the other day, so of course Shawn and I had to go for a walk around the neighborhood! 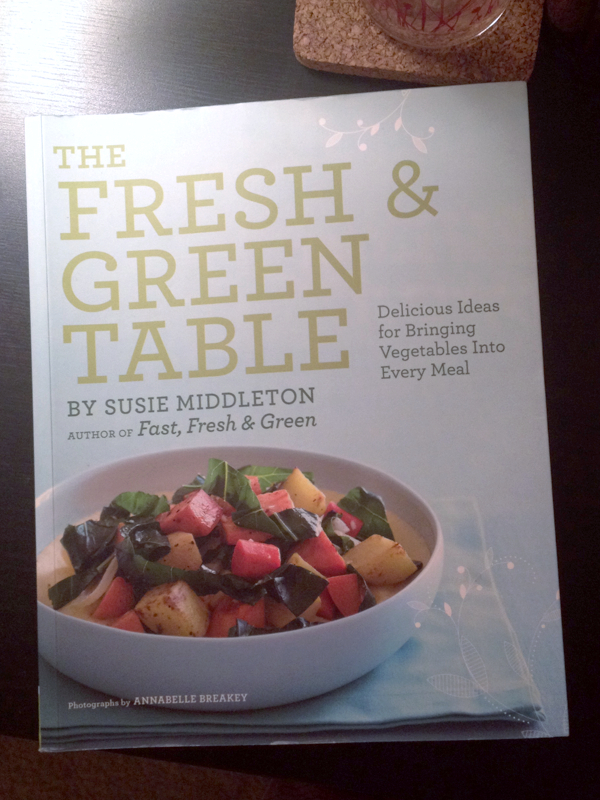 First cookbook of the new year! We've been trying to incorporate less meat and more veggies into our daily meals. We moved my reading chair to a different part of the room and now Lloyd thinks it's his. 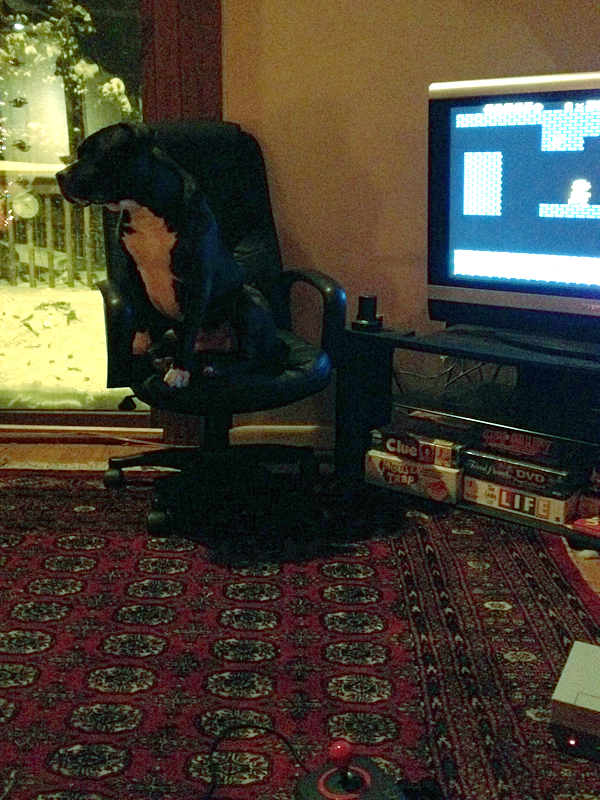 The quality is awful, but I can't not share this photo of my sister's dog sitting in a chair. While we all played Super Mario. 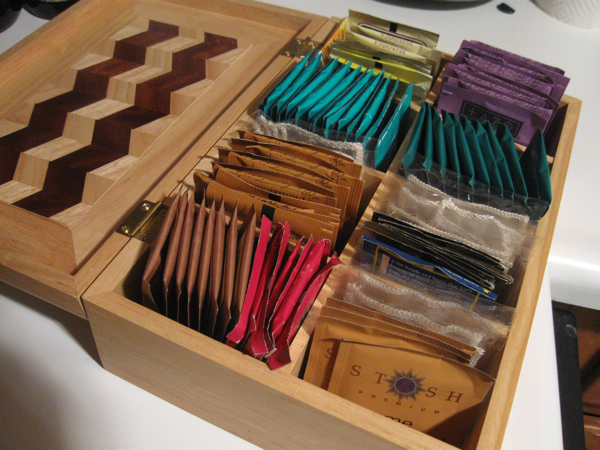 I brought home a hefty box of decaffeinated teas from my parents' house; now I have lots of choices in the morning! What did your first week of the new year look like? that is the cutest tea box ever! I love doing this roundup of phone photos and seeing other peoples, as it's fun little glimpses into life.